CIA-backed fronts such as the Labour Committee for Transatlantic Understanding (LCTU) continued to attract right-wing trade union and Labour Party figures well into the 1980s. LCTU was formed “in order to develop a better understanding of the objectives and democratic values of the Western Alliance in the ranks of socialist and trade union movements in Europe and their counterparts in the United States”. It distributes a news service amongst the trade union movement and provides regular seminars and conferences for senior trade unionists and politicians. Speakers at LCTU’s conferences have included Dr John Reid MP (later to become Tony Blair’s armed forces minister) Peter Mandelson MP, and George Robertson MP (Blair’s defence secretary). Another example of infiltration into the Labour Party was the case of MI6 officer Margaret “Meta” Ramsay. She had attended Glasgow University and had been elected President of the Scottish Union of Students. In 1962, she became associate secretary of the CIA-front the International Student Conference at Leiden, Holland. From 1965 to 1967, Ramsay was secretary of the Fund for International Student Co-operation, which was later identified as another recipient of CIA funds. She became an active member of the Labour Party, attending conferences where party officials were “unaware” of her intelligence connections. In late 1981, she was even on the short-list to become the new chief of MI6. (In the event, Sir Colin McColl, who was due to retire as chief in September 1992, was asked by John Major to stay on for another two years). In August 1992, Margaret Ramsay was appointed to the position of foreign policy adviser to Labour leader John Smith, who was a friend of hers since university days. As well as raising a few eyebrows, this appointment begs the question: What was the leader of the Labour Party doing employing a known high-ranking MI6 agent in such a senior position? With friends like these, the opportunities that the intelligence services have had for manipulating Labour politicians have plainly been many and varied. Today, Tony Blair maintains the CIA’s designs for the Labour party, with a commitment to the largest military budget in Europe and an unswerving allegiance to NATO. The assortment of transatlantic study trips, scholarships, trade union “fellowships” at Harvard and seminars paid for by U.S. agencies and the CIA continue to mould and influence Labour Party policies. For example, both Gordon Brown and John Monks (an important Blair ally as head of the TUC) were welcomed by the secretive Bilderberg Group (one of the key organisations of the European-American elite.) Brown and his economic adviser Edward Balls were both at Harvard. David Miliband, Blair’s head of policy, was at the Massachusetts Institute of Technology. In 1986, Tony Blair went on one of the myriad of U.S.-sponsored trips to America that are available for promising MPs and came back a supporter of the nuclear deterrent. In 1993, he went to a meeting of the Bilderberg Group. Jonathan Powell, Blair’s foreign policy advisor, used to work in the British embassy in Washington and is suspected by some of having been the liaison officer between British intelligence and the CIA. In recent times we witnessed the revelations of a staunch Labourite and former friend of Donald Dewar, the veteran commentator Ruth Wishart came out in support of the Yes campaign on the eve of a huge independence rally in the capital. Her speech at the rally was widely thought to be the best. Senior Labour figures were said to be appalled. Sadly at the end of the week, the question: “What are Scottish Labour for?” remains unanswered. Trident and the Union is about the closest you could get. They’re certainly against Alex Salmond and universal benefits but have no clear alternative policies to speak of. Gordon Brown – Indoctrinated by the US – Then Planted in the Heart Of British Politics – He is Still Promoting Its Agenda in Scotland and is Intent on Undermining the Scottish NHS Preparing It for the US Marketeers. The IV Program (US Embassy’s International Visitor Program) is a subtle exercise that trades heavily on America’s considerable cultural and social capital, in other words its soft power. The altruistic aspect of providing the trip is always balanced with the intention of some kind of return. An invitation offered at the start of a young, talented politician’s career can pay off later if, as expected, that politician rises through the ranks in the following years. An IV trip has the potential; thanks to the extra information sources or contacts it can provide, to be career enhancing, particularly for those in the media or academics but also for MPs. It is not a case of undue influence but of pragmatically attempting to establish favourable, constructive relations early on with someone expected to achieve greater influence in the future. In 1984 the IVP showed the first signs of this approach, with an invitation offered to Gordon Brown. Selection of candidates for the IVP was not easy due to the lack of talent available within the Labour Party. Indeed comment was made that the majority of the 209 Labour MPs in the Commons after the 1983 election were, distinctly unimpressive. 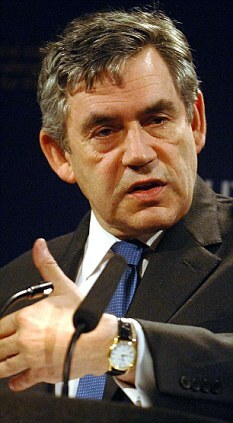 Of the party’s 32 new MPs, Gordon Brown certainly stood out as among the pick of the intake. “already being seen as a leading light among the new members. He is an articulate, hard working and dedicated MP who is likely to go places within his party . As he has never been to the US the IV Program will give him an ideal opportunity to learn first-hand about the US political system and meet his American counterparts early in his career, which could have immense value to both sides of the Atlantic”. 1. The American political process at federal and state levels. 2. US defense policy, and regional and urban redevelopment schemes. 3. Defense policy and NATO missile deployment at the Departments of State and Defense. On redevelopment questions, the Embassy was aware that Brown’s constituency of Dunfermline East was suffering from high unemployment and was also deeply involved in the miners’ strike. This was the background to his visit to Pittsburgh to view its urban renewal schemes, and his meetings with union officials. But, the main focus was on the apparatus of the political parties. Brown was interested in the organization, fundraising, campaigning and the role of political action committees in both major parties. Brown was definitely fascinated by the United States. While he went back at every opportunity in subsequent years, it was his IV trip that initially opened the door. 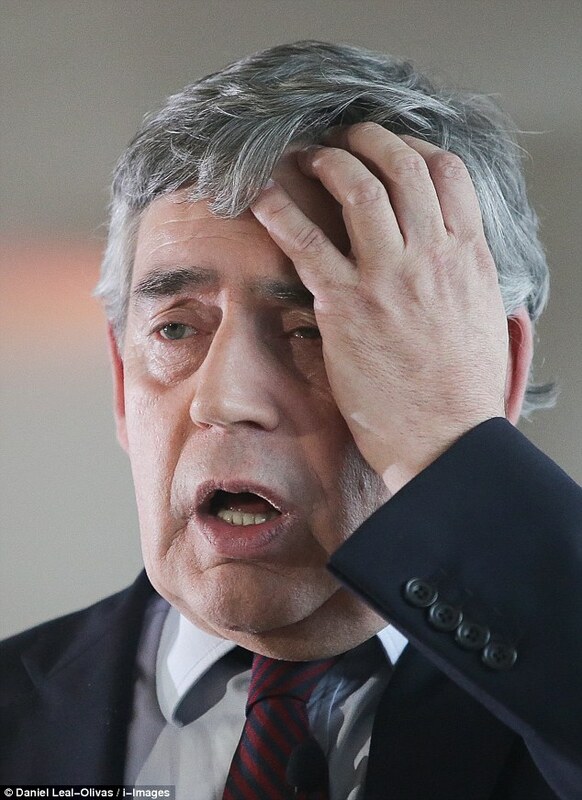 Author caltonjockPosted on April 12, 2015 December 2, 2018 Categories UncategorizedLeave a comment on Gordon Brown – Indoctrinated by the US – Then Planted in the Heart Of British Politics – He is Still Promoting Its Agenda in Scotland and is Intent on Undermining the Scottish NHS Preparing It for the US Marketeers.